Are your favorite DC Lottery games paying you or the city? Which games paid out more? Throughout the years the DC Lottery has entertained residents, suburban commuters and visitors, at the same time generating revenue for the city. On Saturday, April 11, DC’s Lottery Executive Director Buddy Roogow passed away after spending over five years with the agency. We would like to express our sincere condolences to his family and colleagues while at the same time looking at the historical trend of prize payouts and transfers to the city’s General Fund. This post is dedicated to him. 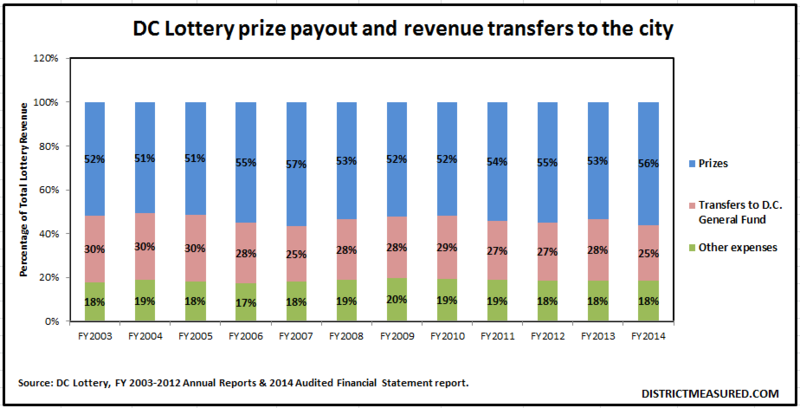 A look at the financials shows that, DC Lottery’s prize payout ratio during the past 12 fiscal years has remained within a range of 51 to 57 percent of sales, each fiscal year, whereas transfers to the city’s General Fund stayed within a 25 to 30 percent range. So, yes, more is being paid out! 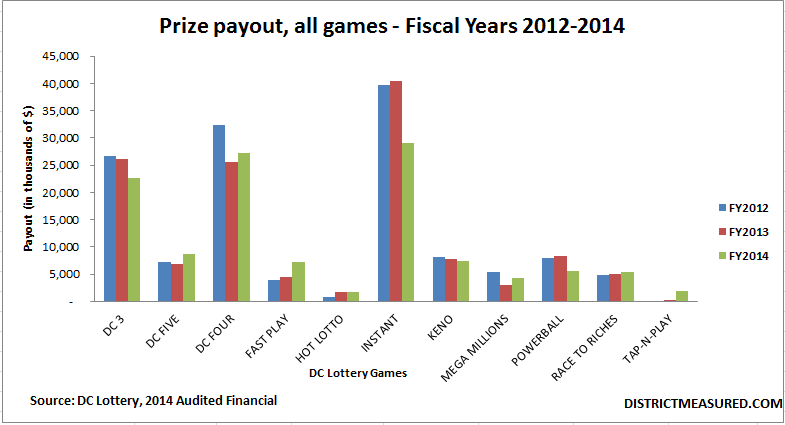 But, which games paid more; here is a quick look at the prize payout data from the last three fiscal years. Hope this gives you a clue to the top paying games, what remains is your luck. 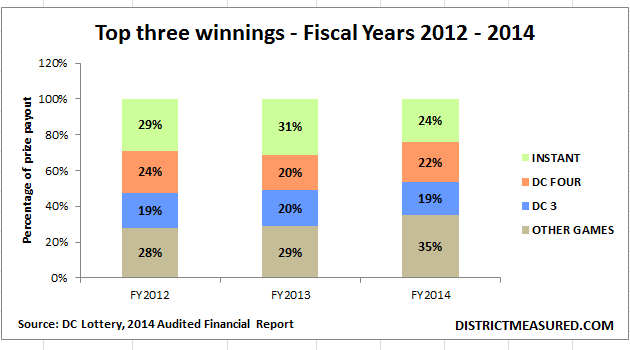 The prize payout information is from DC Lottery’s annual report and audited financial report. We used the District’s System of Accounting and Reporting (SOAR) to obtain information on transfers to the city. DC-3 is a three-digit game with three ways to play and nine ways to win. Prizes vary from $25 to $500. DC Four is a four-digit game that features eleven ways to win and a top prize of $5,000. More information is available at DCLottery.com. Next > Is Your Neighborhood Elementary School a Sure Bet?